ATHENS, Greece (AP) — Greece on Friday backed calls by Bolivia’s left-wing President Evo Morales for a negotiated settlement to the severe political and financial crisis in Venezuela, in what marks a different approach to that pursued by key European allies. Many European Union countries are among 50 nations, including the United States, which are backing Venezuelan opposition leader Juan Guaido against embattled President Nicolas Maduro. Those EU countries want a presidential election to resolve Venezuela’s problems. But Greek Prime Minister Alexis Tsipras’ Syriza party has friendly ties with left-wing parties in South America and has expressed support for Maduro. Morales met with Tsipras in Athens on a rare trip to Europe, and called on the Greek prime minister to press the EU to push for talks between the Venezuelan government and opposition as a way out of the crisis. A senior government official in Athens told The Associated Press that Greece did not have a “front seat” in international negotiations involving Venezuela but was pressing other EU countries to insist in trying to reach a negotiated settlement. The official, who spoke ahead of Morales’ visit, asked not to be named pending official statements. Late Thursday, Morales accused Guaido of acting like a colonial-era “viceroy,” and criticized the support he has received from the U.S.
“We do not agree with this outside interference … solutions must be found inside the country,” he said Friday. Last year, more than 30 million tourists visited Greece, a country with a population of 10.7 million. 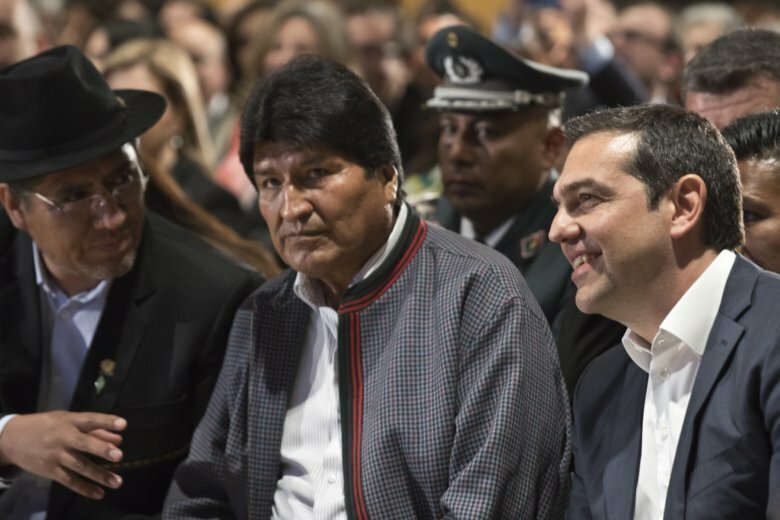 Both Tsipras and Morales are seeking re-election this year and promised to work to broaden international cooperation between left-wing parties.